The Hellcat was never meant to be a tame kitty. Judging by the early sketches of the logo that now adorns the Dodge Challenger and Charger SRT Hellcats, the attitude was there from the start. While most of the logos show aggressive, roaring Hellcats that are befitting of the beastly 707-hp engine, one took on a more playful theme. The popular logo is a perfect example of how social media can drive the creative process for automakers. The early Challenger SRT Hellcat didn’t have the logo when it was first unveiled last May, but Dodge kept an eye on the social sphere and noticed that people loved it. “People saw the logo and said, ‘This is awesome.’ It was originally just supposed to say ‘supercharged’ on the side of the car. But [the logo] got so much attention in social media that at the last minute, we changed from ‘supercharged’ to the actual logo on the car,” said Tim Kuniskis, Dodge brand CEO, in a recent interview. 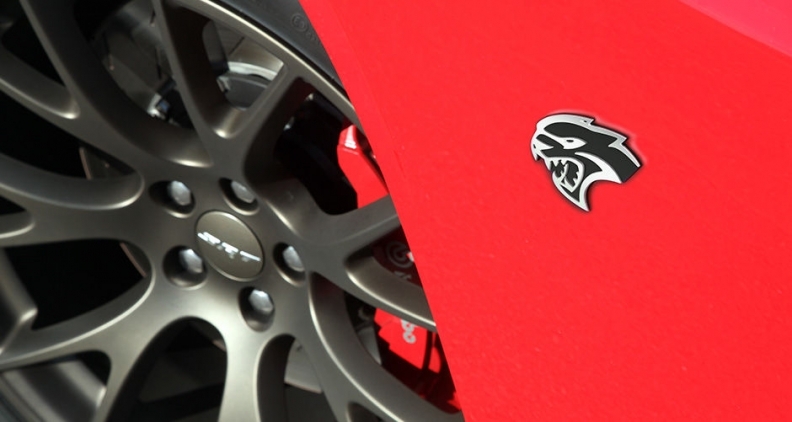 When Dodge revealed the Charger SRT Hellcat a few months later in August, it made sure to have the logo on the car. However, the early media photos Dodge released of the Charger also had the “supercharged” lettering instead of the Hellcat emblem. 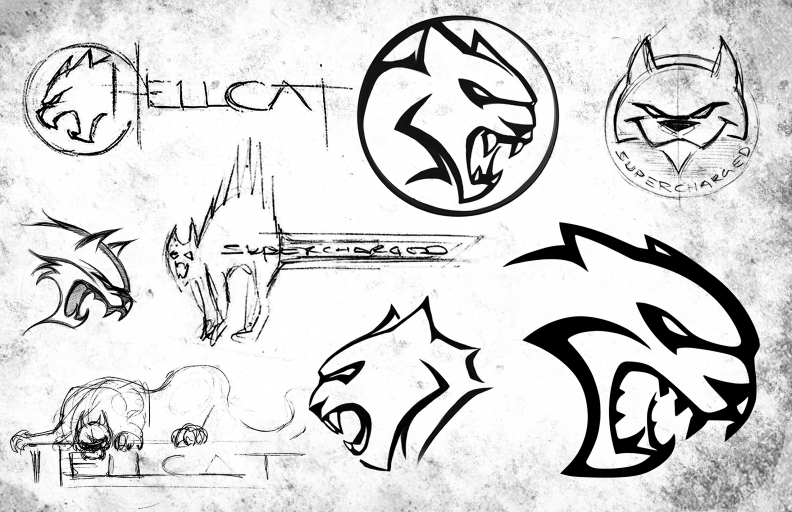 What do you think about the early sketches of the Hellcat logo? Sound off.